Biotech stocks turned higher on May 11 after President Trump outlined a series of steps the administration might take to control skyrocketing drug prices. The lack of details triggered a relief rally underpinned by skepticism that the initiatives will pass Congress and their deep reliance on industry contributions. Some of the proposals could even raise prices, like eliminating pharmacy benefit managers who have acted as gate keepers in recent years. The sector rallied into early 2018, but blue-chip components sharply underperformed small caps and mid caps, keeping major funds at or below 2015 resistance levels. In fact, three of the five highest-capitalized components are still trading below their 200-day exponential moving averages (EMAs), struggling near 52-week lows. A broad-based recovery will be nearly impossible without these underperforming heavyweights. 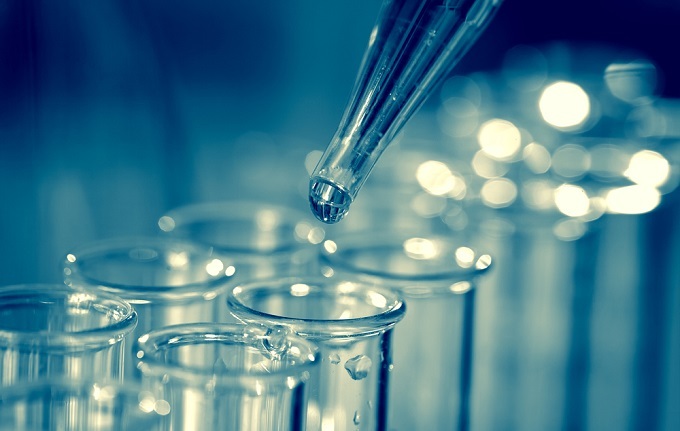 The S&P SPDR Biotech ETF (XBI) offers the broadest exposure to mid and small caps, with just 12% large-cap holdings in a modified equal-weighting methodology. It posted dramatic returns after the 2009 bottom, lifting more than 600% into the July 2015 high at $91.10, and turned sharply lower into 2016. The uptrend since that time has tracked a shallow rising channel, but gains have been steady, with the fund closing the past eight quarters in the green. The rally reached the 2015 high in January 2018, yielding a buying spike to an all-time high at $97.98, followed by a failed breakout that reinforced the three-year trading range. It found support in the lower $80s in February and has spent the past three months stuck within a rectangular pattern that’s crisscrossing the prior high. Bulls hope that this correction through time rather than price will yield a breakout, while bears expect to profit from a long-term double top. The 200-day exponential moving average (EMA) has aligned with short-term range support, drawing a bull-bear line in the sand in the low $80s. A breakdown would set off dangerous sell signals that could escalate into a full-blown downtrend, exposing the ETF to a trip into the $60s. However, solid accumulation and healthy institutional sponsorship favor a bullish outcome, with buying momentum picking up after the fund establishes support at $100. The iShares Nasdaq Biotechnology Index Fund ETF (IBB) has underperformed its rival in recent years, held down by a market cap-weighted methodology favoring underperforming blue chips. It also rose more than 600% between 2009 and 2015, highlighting broad interest during that recovery period. The fund sold off from $133 to $80 after the top, finding support in early 2016, and entered a shallow channel that has generated more pain than pleasure in the past two years. The uptick stalled at the .618 Fibonacci sell-off retracement level near $115 in October 2017, generating a pullback followed by a January 2018 breakout that posted a two-year high at $119.30. It sold off into February, signaling a failed breakout, and reversed at that level March. Two tests at the 2018 low near $100 have attracted buyers, but price action has now completed a complex head and shoulders pattern. 0 responses on "Biotech Stocks Could Lead Summer Rally"